Star Wars hotel is a hotel now under construction at Walt Disney World. Disney's as-yet-unnamed Star Wars hotel is expected to have 68 rooms and be located just south of Disney's Hollywood Studios, connected to the Star Wars Galaxy's Edge land by shuttle bus (ship). 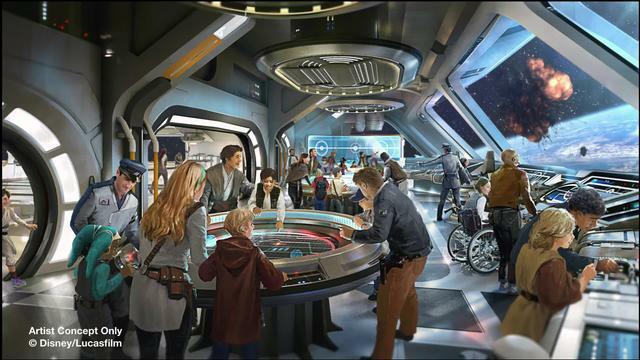 Special screen "windows" and interior effects will create the illusion that guests are staying in cabins in a ship flying through space.